As all are money can't go on a new outfit every weekend, we will just have to dream. 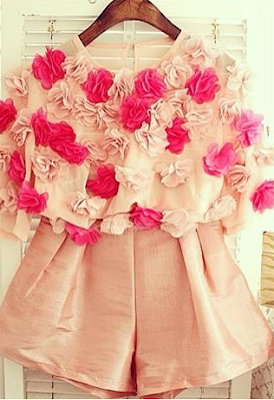 Top on my wish list this week is two pieces, I am all over this trend but before we dive in to the deep end, here is some inspiration from some of are favourite celebs! This bikini is from a online shop called Phussy, she is a friend of mine and also a amazing designer. If your a fan of the 60s/70s patterns like myself then this is a winner! On the shoe front I am obsessed with these little numbers at the moment and can't wait to crack open the piggy bank and get my hands on a pair! They come in many different styles and colours, they are everywhere at the moment! And finally, some all important accessories. 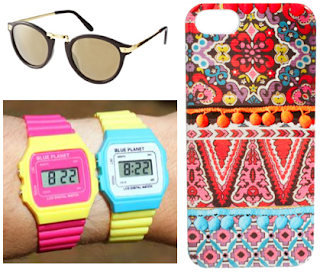 A psychedelic phone case, pair of sunglasses and the Casio style neon watch. If you have the money to spare then all these items are a must at the moment, so why not treat yourself and enjoy a spending splurge!